The general overseer of Omega Fire Ministries, Apostle Suleman is currently in Cameroon for ‘Help From Above’ programme. 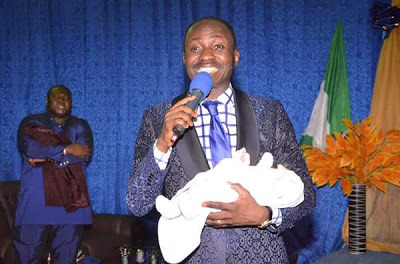 According to reports, the baby was confirmed dead with the mother having ruptured placenta and booked for a surgery to evacuate the foetus but God brought him back and she delivered safely after an encounter in one of the sessions of the Help from Above Limbe crusade held by Apostle Suleman. There is nothing God can't do. GOD be praised.